The following is an expanded version of the sermon I gave at the end of the “Welcome One Another Fellowship Retreat”," anually offered by the newly named Team on LGBT Inclusion of the New England Synod of the Evangelical Lutheran Church of North America. I want to thank you for the privilege of being with you this weekend, of sharing some of my thoughts on the full incorporation of transgender people into the life of the church—on the implications of that incorporation not only for trans people but also for the church as a whole. I’ve shared several stories that have taken place at the borders of the church, some even at the borders of retreat circles much like the one in which we’ve been gathered this weekend. These moments have pointed toward a certain paradox that being a trans person in the life of the church has caused me to notice. On the one hand, the margins of church and world can be tenuous, sometimes dangerous spaces. On the other hand, in some ways these borders can be strangely holy, spaces in which God’s transforming presence can be palpable. This paradox prompts me to think about a broader question: how can the church rediscover its vocation at the margins, to not simply “do charity” there but to reclaim its mission there—to combat pernicious patterns of “othering” wherever it may happen while claiming a certain “other” orientation as a feature of its own life? In fact, our churches have been on this journey of discovery for some time now. One particularly powerful voice in this process from my own denomination is the late Reverend Paul Washington (whose obituary can be found here), rector of Philadelphia’s Church of the Advocate from 1962-1987. He spoke of his ministry as one of outreach to and uplift of “other sheep”– indeed, his 1994 autobiography is entitled Other Sheep I Have. As an exhibit on the Episcopal Church Archives website puts it, Washington’s “church became a beacon of liberation for those [he] referred to as the ‘other sheep’: blacks, the poor, the dispossessed, the oppressed, women, and gays.” In 1964 Washington’s parish hosted the first National Black Power Convention; in 1970 it hosted the National Convention of the Black Panthers Party; and in 1974 it hosted the ordination of the “the Philadelphia Eleven,” the first women to become priests in The Episcopal Church. 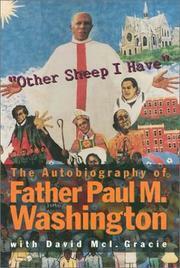 Washington was also the mentor of Barbara Clementine Harris who in 1989 became a Suffragan (or assistant) Bishop in my diocese, the Episcopal Diocese of Massachusetts, becoming in the process the first woman bishop in the Anglican Communion, and very much an advocate of “other sheep” in her own right. Thus one question our conversations this weekend have circled around is how to imagine, how to conceive theologically of our growth into “one flock,” how to see our undoing of “othering” as integral to that growth. Neither Episcopalians nor Lutherans tend to think of ourselves as the “one true church.” It isn’t simply that our denominations are in full communion with one another (which we have been since 2001 see this article). It is that our growth within the body of Christ is accomplished by God, not by us. If I may presume to “speak Lutheran,” grace finally does the job, not “works.” But, if I may presume to “speak Anglican,” we also participate in that divine process. And, to crib Paul, that process is eschatological—we are “changed from glory into glory” (to quote Wesley, speaking Paul!) in a way that lodges us in the already and the not yet. In other words, we Christians are called to strive toward holy connection – with God and with one another-- even as we trust that God will bring this work to completion. Crucial to our striving, here and now, is identifying, naming those of us who have been and are being “othered” in the life of the church and of the world. We are called to help make audible the voice of the Good Shepherd both to the “othered” and the “othering,” that the power of alienation might be undermined. 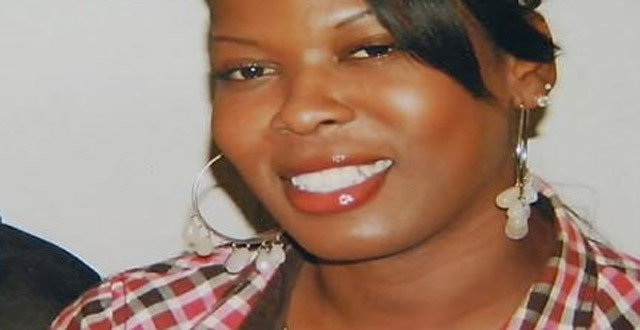 And if there is any doubt how important this undoing work is, we need only point to a horrific event that took place across the country during our retreat: a transgender woman, a woman of color, named Brandy Martell, was murdered in Oakland, California on Saturday night in a crime that community members suspect was motivated by hate. As we strive to help undo such devastating dehumanization, as we seek to amplify the voice of the Good Shepherd, we would do well to take up afresh Jesus’ own marginal ministry. And in so doing we might also remember the marginality of the church, it own “otherness” in its earliest days. 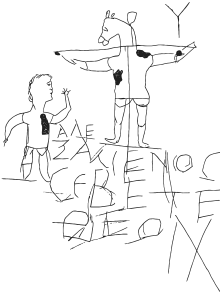 One of the oldest images we have of the crucifixion is the so-called “Alexemenos graffito.” Etched into a wall near the Palatine Hill in Rome, a human figure with a donkey head on a cross, flanked by an apparently worshipping figure, is inscribed “Alexander worships his God.” The notion that a people could worship as God one who was degraded by death on a cross was ridiculous in a Roman imperial context in which an effective Messiah would, after all, come along and with great might overturn the powers that be. This ancient insight takes us to the very heart of the power of the cross. This image conveys how good news can be a skandalon, a stumbling block, foolishness (1 Cor 1:23)—sheer madness to one who expects a straight-forward story of overturning one sort of power with a yet greater form of it. But we preach Christ crucified and risen, the power of One who poured himself into our midst, became in a sense an emblem of stigma, became other in order to transform otherness into belonging, to draw us into this pattern of metamorphosis and make us its agents. As we take up that agency, we must remember from whence we came, must remember our otherness – ancient and contemporary – and in so remembering rediscover our border location as Christians. For we are a people living in the already and the not yet, a people in the world and yet not wholly of it, a people with an ancient propensity for turning the world upside down. This is a journey that does not end in this life. It ends at the feet of the God who made us, the one around whom we sing and dance together in eternity. But between now and then—in this space-time of already and not yet-- we remember and live into this ancient identity, indeed this baptismal mission. We remember the process of our incorporation into the wider flock, we remember that we are “Other Sheep,” a people oriented to the margin, inviting “other others” into this holy terrain, this sacred journey. This is the peculiar challenge and privilege of our ministry. Amen.